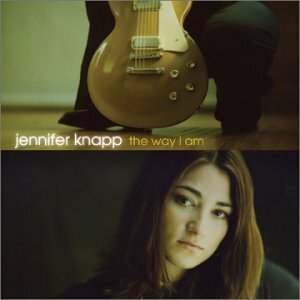 With her debut national release, Kansas singer-songwriter Jennifer Knapp has established herself as an artistic beacon and testament to conviction. Candidly wearing her emotions, faith, determination and all else on her sleeve, the 25 year-old's blend of alternative folk-rock spiked with impassioned vocals relays a feeling of learned objectivity; though based upon the most personal of themes. "Kansas" earned the pensive singer 1999 Dove Awards for 'Rock Song Of The Year' and 'New Artist Of The Year.' 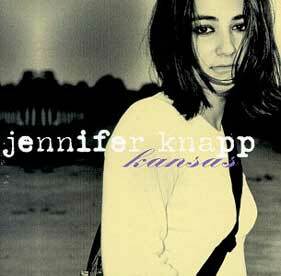 (Jennifer Knapp was nominated as a GMA debut artist for an impressive six awards--including 'Top Female Artist.') The honors are indicative of the impact which she had on the over 350,000 fans who attended her shows in 1998, and have poised her for success with a broader audience. 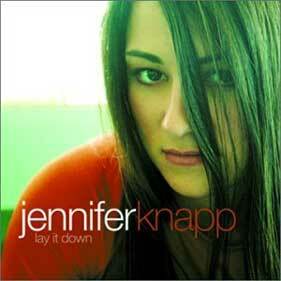 Knapp's latest release is entitled "Lay It Down" and was released in early 2000.